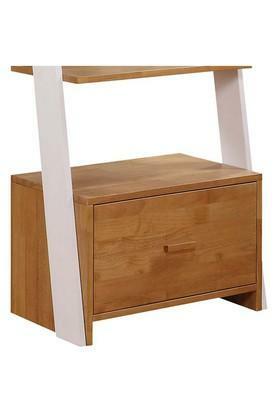 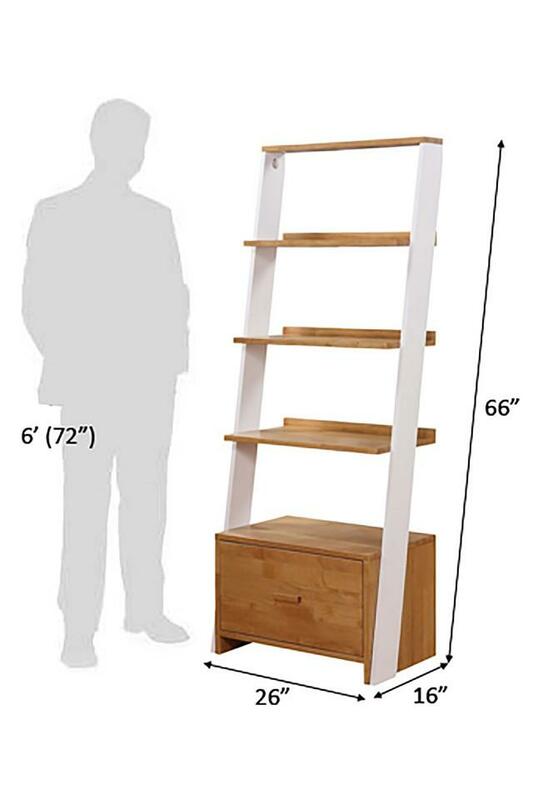 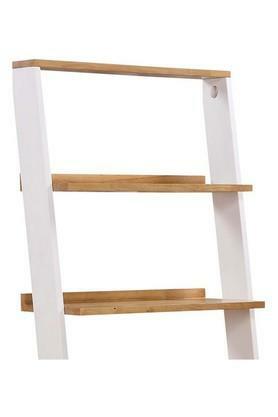 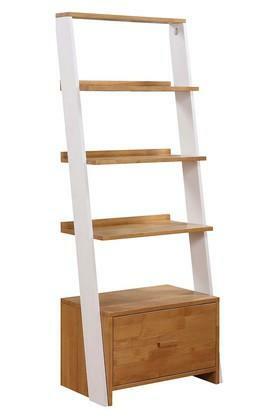 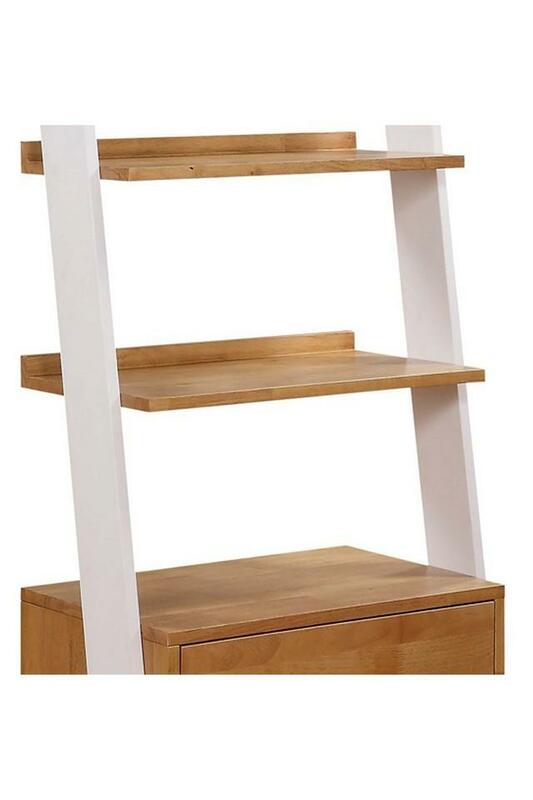 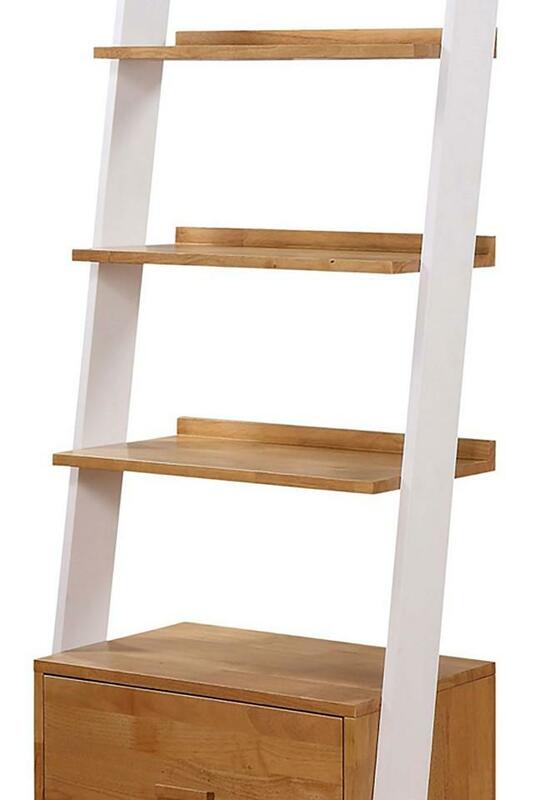 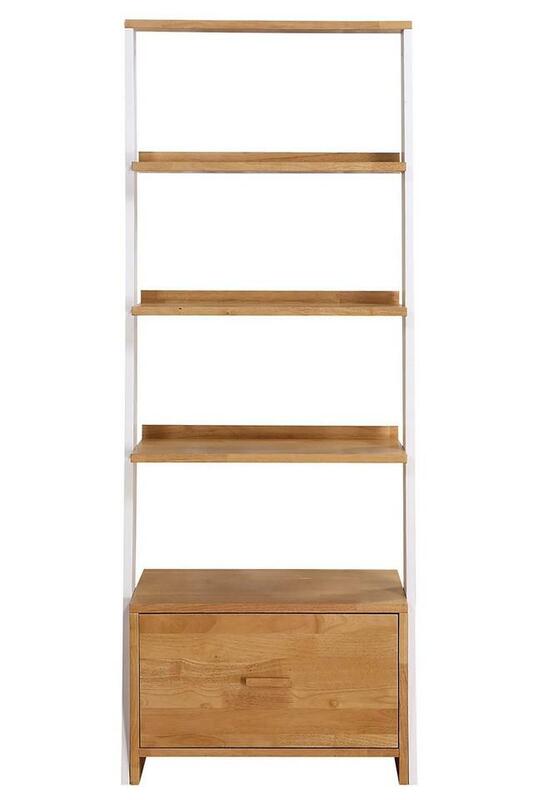 This two-tone storage unit includes three shelves and a base with additional storage space. Handles - Wooden pull handle. Storage features - Single drawer and three shelves. Two-tone lacquered natural mango wood and white finish. Dimensions - 66 x 41 x 168 cm.